French President Francois Hollande (L) welcomes Iran's President Hassan Rouhani as he arrives at the Elysee Palace in Paris, France, January 28, 2016. 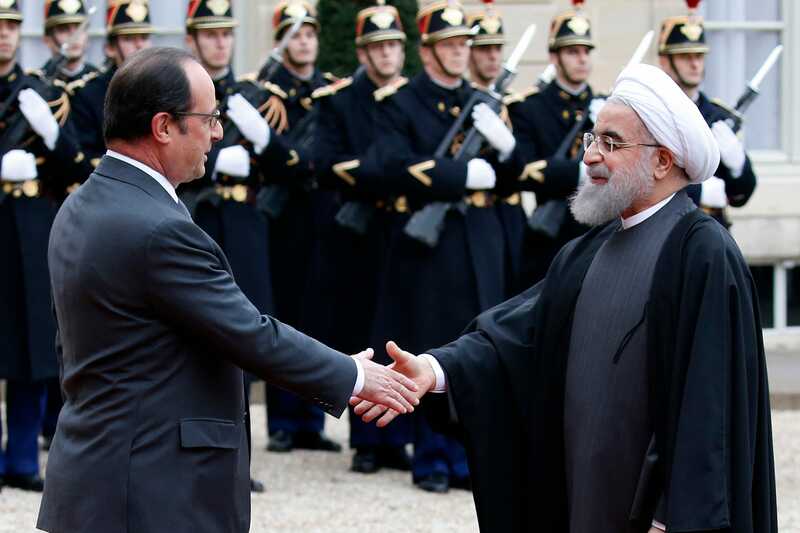 Hassan Rouhani visited Paris on Thursday, part of the first European visit by an Iranian president in 16 years. The trip, which follows Rouhani’s visit to Rome earlier in the week, is aimed at boosting Tehran’s trade with Europe after years of sanctions. Despite France’s tough line during negotiations for a nuclear deal, Paris and Tehran traditionally have had a special economic relationship – based on three key industries: aviation, automobiles, and oil – which Rouhani hopes to restore. France has played a win-win game in the nuclear talks; not only did it fortify its economic and political ties with the Sunni Arab states and Israel, it is now set to immensely benefit in its trade with their rival in Tehran. 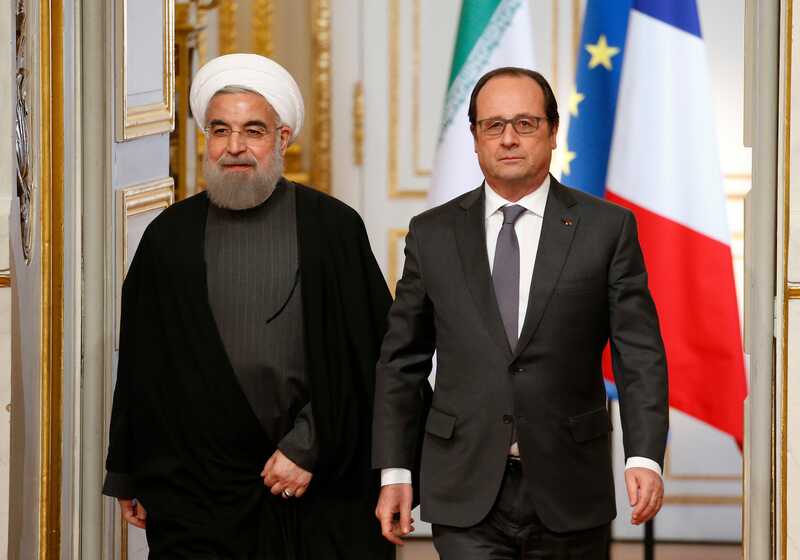 French President Francois Hollande (R) and Iran's President Hassan Rouhani arrive to attend a joint news conference at the Elysee Palace in Paris, France, January 28, 2016. On the other hand, Washington’s perceived over-eagerness to reach a deal with Iran has lost its Middle Eastern allies’ trust, while remaining US restrictions on trade mean American companies are less likely to benefit from the post-sanctions windfall. President Obama has secured what he believes will be his foreign policy legacy; however, it is French President Francois Hollande who takes home the biggest slice of the Iran post-sanctions cake. Iran is in the process of buying 114 Airbus jets, and Iran Air expects to receive the first set of aircraft from the French aviation giant before March 21. Iran also announced its decision to buy 40 French-Italian ATR planes. By contrast, while Tehran has also expressed its interest in acquiring Boeing planes, those US restrictions mean any such deal would face greater obstacles. An employee holds a car door at a production line of a Dongfeng Peugeot Citroen Automobile factory. 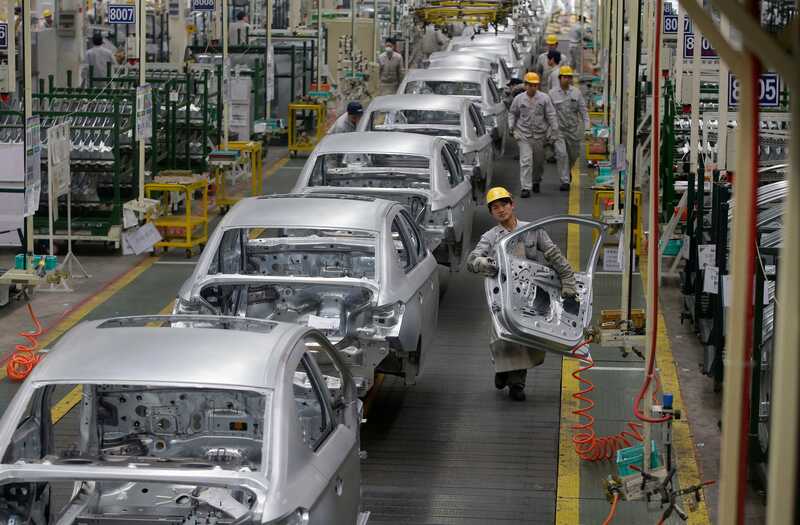 In the automotive sector, France’s Peugeot-Citroen is set to sign contracts with Iran Khodro and Saipa, Iran’s two largest automotive manufacturers. The deal with Iran Khodro will be an equal partnership, which guarantees Peugeot’s export of the latter’s production. Meanwhile, Renault is also planning to re-enter Iran’s market, and Iran’s Azin Khodro and France’s Faurecia recently announced their partnership to produce car spares in the Islamic Republic. The French energy giant Total has also sent representatives to meet with Iranians officials. While nothing has been signed yet, Total’s previous strong presence in Iran puts it in pole position to acquire a significant share of the country’s oil and gas fields. Iran requires major investment in its oil and gas industry to increase its production, and facing low fuel prices, the country needs buyers for its oil. As a result, the Oil Ministry has designed a new type of oil contract, which is more appealing to foreign companies than previous buyback agreements. 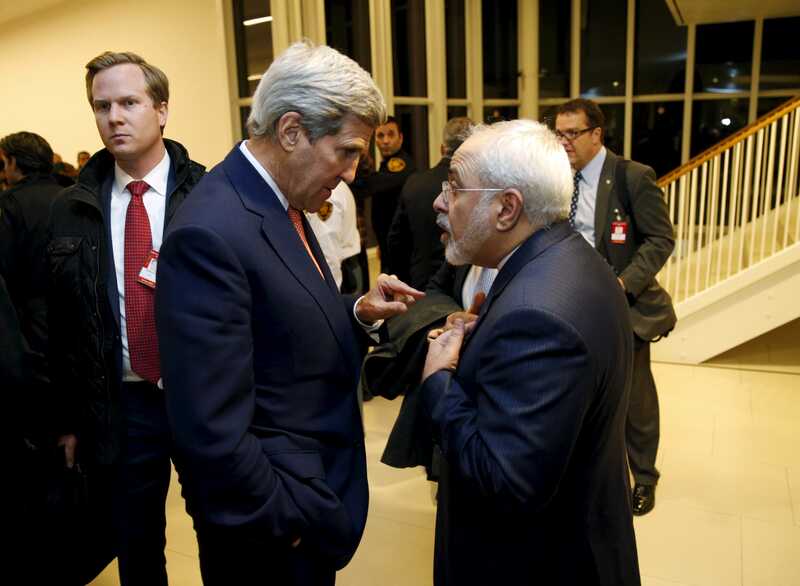 U.S. Secretary of State John Kerry talks with Iranian Foreign Minister Javad Zarif after the International Atomic Energy Agency (IAEA) verified that Iran has met all conditions under the nuclear deal, in Vienna January 16, 2016. Obama and Secretary of State John Kerry have done the legwork of the Iran deal, but it is the Socialist government of France that is harvesting its fruits. During the nuclear negotiations, French Foreign Minister Laurent Fabius took the toughest stance, leaving the impression that he would have insisted on a better one if the Americans had not been so desperate for an agreement. Now, however, France is going to harvest the yield of Iran’s post-sanctions economy while the US struggles to assure regional allies it has not sold them out. Saeed Ghasseminejad is an associate fellow at Foundation for Defense of Democracies and its Center on Sanctions and Illicit Finance. Ghasseminejad specializes in Iran’s economy and politics and the effects of terrorism and political unrest on financial markets. Follow him on Twitter.